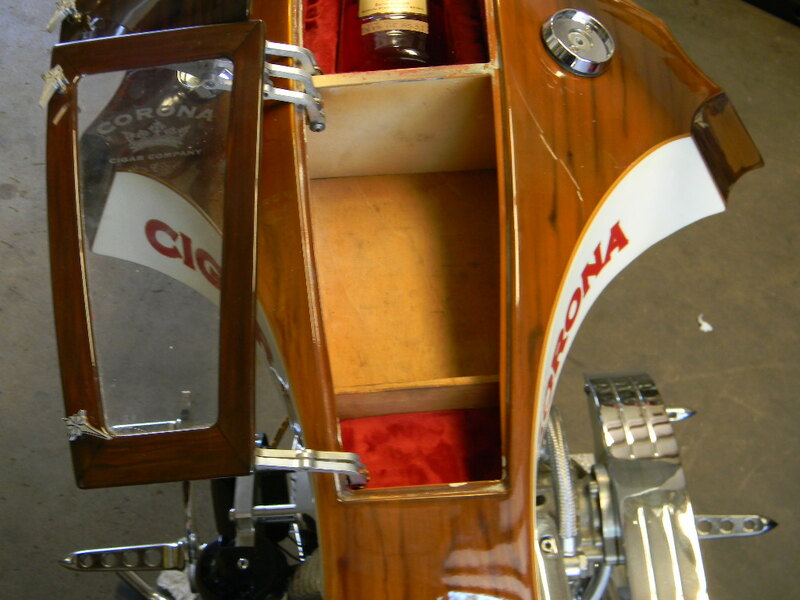 Motorcycle restoration, or custom motorcycle repair can be a challenge. When the original motorcycle is either very old, or very unique then many of the parts that are damaged must be made from scratch, and paint must be custom matched to its original color, texture and additive content. This custom chopper had spent several years inside the Corona Cigar store in Orlando and earned a nasty coat of nicotine and wear. Art In Motion restored this motorcycle to its original glory with some meticulous fabrication details.